Very Good. 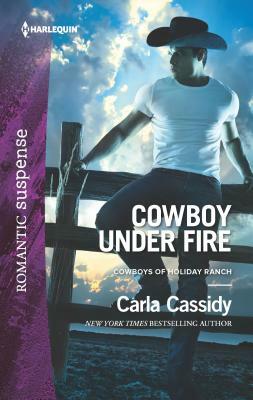 Cowboy Under Fire (Harlequin Romantic Suspense: Cowboys of Holiday Ranch) by Cassidy, Carla. Mass market (rack) paperback. Glued binding. 288 p. Harlequin Romantic Suspense, 1880. Very Good. When opposites attract... Glued binding. 288 p. Cowboys of Holiday Ranch , 3.